Notepad is a most important and generic text editor which included with all versions of Microsoft Windows. Notepad allows you to open and read plaintext files.By using Notepad you can make any interesting and important things on your windows that means your desktop or laptop which containing any Microsoft's windows programs .Today i tech you How to make a clock using Notepad which provide you Date and Time.Now follow some step and do it. Step 1: Firstly you click on your mouse's right button in desktop. Then click new and by scrolling click Text Document. 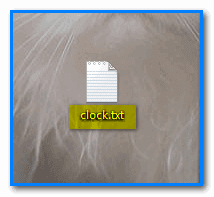 Step 2: Now rename this Text Document with clock.txt Like bellow. 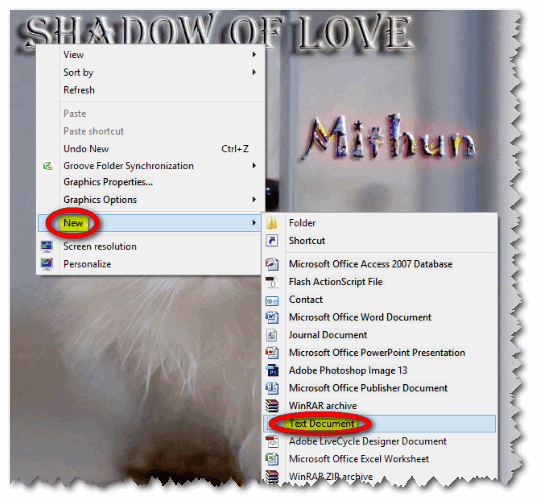 Step 3: Now open this Text Document by Double Clicking and paste bellow code. 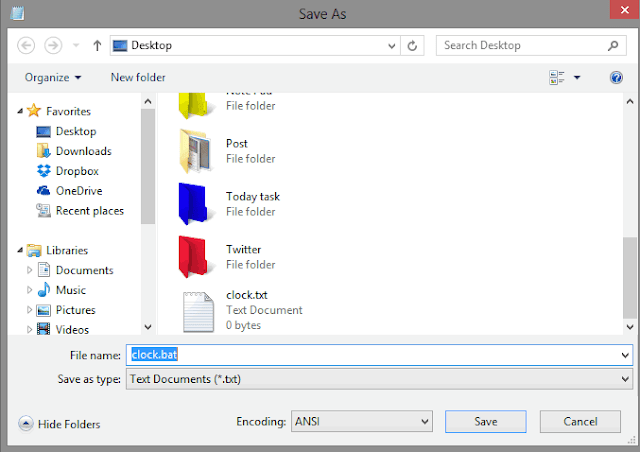 Step 4: This step click Save As and rename the file with clock.bat like bellow screenshot. Then click save button but remember one thing must you save there where you creating your Tex Document. Step 5: Now click on clock icon and you can see Time and date is showing. 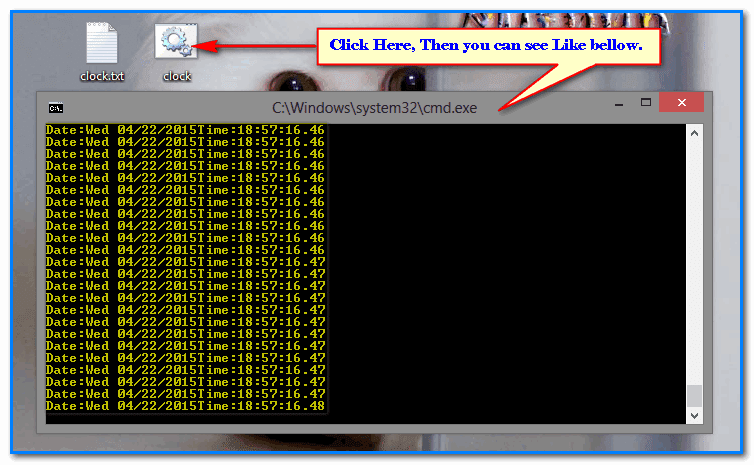 Now you are done and successfully created Clock and date By notepad. Any problem please comment bellow. I will try to solve it. If like this don't forget to share in social media. Remember the word is if you share this with others you done for a good work to learn others.